and here I am writing about them. Lady Luck did play her part as well though, for the day after I read Bruno's comment and request on this blog, I was at a stamp fair and happened to find these stamps! They were issued in June this year, as a joint issue for the US and France. The general thought behind this issue is that music speaks an international language and that was enough for the two postal administrations to embark on this project, choosing two artists whose fame reached far beyond their country's borders. The photographs were selected for the body posures the two musical giants were famed for. That makes them work perfectly well as a stamp set, and the predominantly black and white appearance gives a good ambience of the old days. I must secretly admit, though, that I have a slight preference for the French stamps, these being completely black and white. 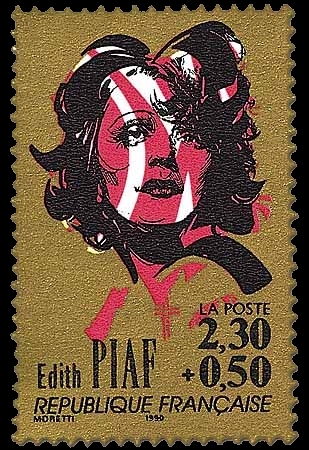 It is, of course, not the first time that France has issued a stamp for her Little Sparrow singer Edith Piaf. She was also part of a 1990 issue honouring France's chansonniers. And neither is it the first time that France has honoured American musical talent. 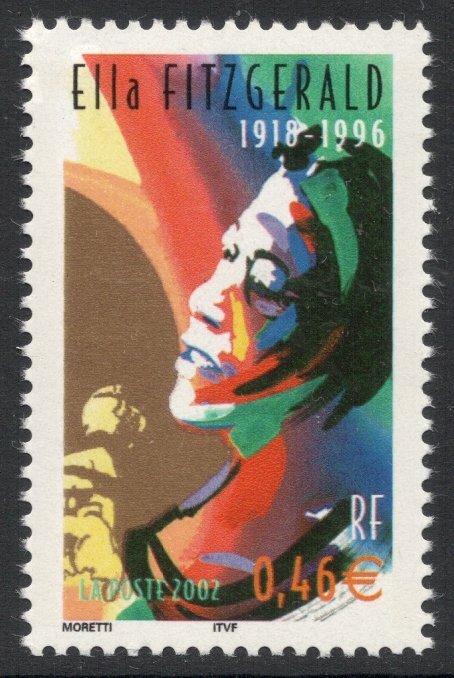 In 2002, a set was issued with jazz musicians on, and these included the likes of Louis Armstrong and, one of my favourites, Ella Fitzgerald. She, of course also appears on American stamps, such as this 2007 issue, part of the long-running 'Black Heritage' series. Now jazz and philately seems a slightly odd combination. Somehow the smoky cellars of old, where music was played which at the time was very much criticised for luring the young into a world of intimacy and amorality, doesn't fit well with the image of the precise philatelist, researching minute details and getting excited over perf holes that are 0.005mm smaller than normal. But it seems that jazz has come a long way and has become part of the establishment if you like. 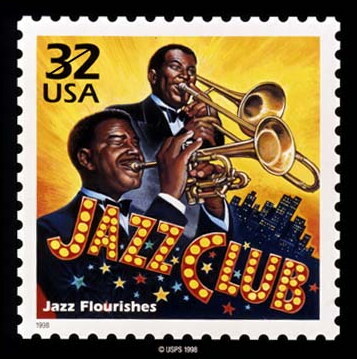 But how to translate this into jazz stamps? I suppose for that we really have to look at the country of its origin, the United States, where many a jazz issue has seen the light of day. 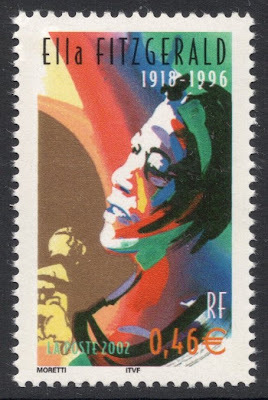 The easy way to represent this subject has been to depict musicians, as done here on a 1998 'Twentieth Century' stamp representing the popularity of jazz in the 1920s. 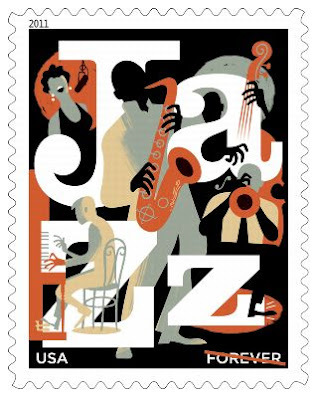 But my favourite US jazz stamp, issued last year, does more than that: it actually manages to come up with a very jazzy design. The designer, Paul Rogers, wanted the design to be the visual equivalent of the music. His inspiration came from the artwork on album sleeves of vintage jazz records. Absolutely brilliant! 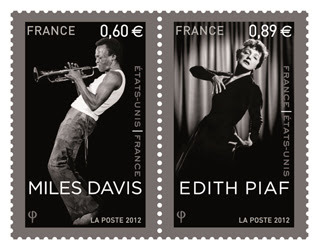 That French stamp is a much better depiction of Fitzgerald than the American one, which I've always thought makes her look like she's had her Ready Brek. Well, I am honored. Thanks. They are lovely stamps and I enjoyed using them here stateside throughout the hot summer. I agree the text on the Fremch stamps is easier to read than on the US counterparts. A friend thought the singer was Eartha Kitt. I think that is in part because the red letters EDITH PIAF are nearly impossible to read. 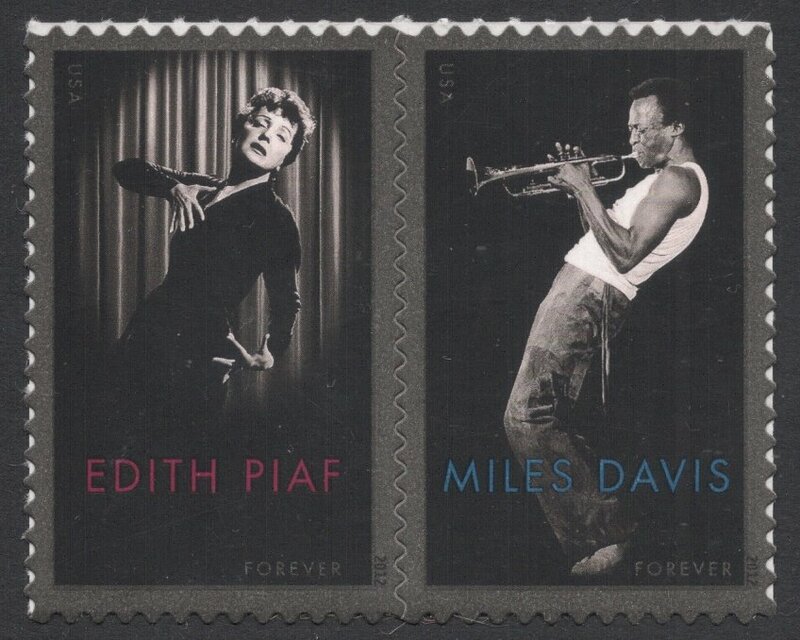 (Also, I don't think Eartha Kitt will ever be on a US stamp but that's another story). What's wrong with Eartha Kitt? You make me all curious now. Better google and dig up some juicy scandals? Or is she just not famous enough? Eartha Kitt pubicly chastised Lady Bird Johnson at a White House reception during the Vietnam War and became somewhat of a persona non grata, so I doubt the USPS would put her on a stamp, but who knows? Time heals all wounds? 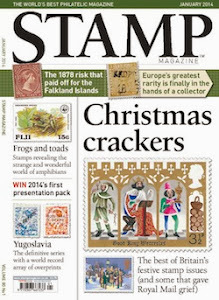 Great compilation of stamps. I have just read her Wikipedia entry and I see what you mean! Though it seems she has doen a lot of work for various causes since so a philatelic tribute does seem fitting. But she's probably been too political a figure to see that happen any time soon. What makes the US issue even better is the arrangement of the pane of 20. 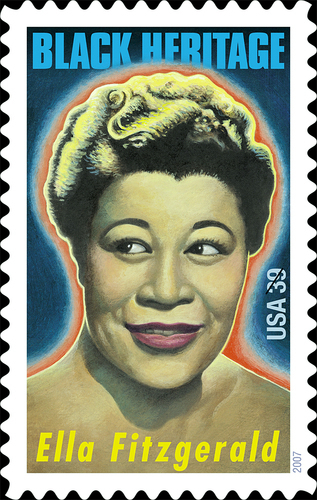 The four rows of stamps are staggered at the same angle as the performers. You can see an image here (scroll down): http://storymatters.com/columns/forcing-myself-to-think. Yes, that is how they are featured indeed. Makes it very hard to use them on letters. You feel you are ruining a piece of art.